Elumen, by Goldwell, is the first permanent, high-performance, oxidant-free hair color. Elumen works exclusively with pure direct dyes, which are penetrated deep into the hair and anchored by a kind of magnetic attraction. The positively charged hair draws the negatively charged Elumen dye into the hair. This is why Elumen is longer-lasting than most conventional hair colors yet causes no damage to the hair. It works with no peroxide or ammonia, so there is no need for mixing. *results depend on base hair color. Brush Hair to detangle. Hair should be Dry or Towel-Dry. Use Elumen® Prepare after highlighting/highlighting service or as a precolor treatment for damaged hair. Prepare single or multiple-shade formula in color bowl, Elumen® Shade bottle, or Elumen® mixing bottle. Attach nozzle or comb attachment as needed. Apply color to hair. Process with heat for 20 minutes or without heat for 30 minutes. After processing is complete, rinse with water and then shampoo two times with Elumen® Wash. Towel dry thoroughly. Evenly saturate the hair with Elumen® Lock, comb through and process for five minutes. Wash thoroughly and condition with Elumen® Care or Elumen® Treat. Please refer to manufacturer's packaged instructions. "This is by far THE best hair color I have had. I've tried Pravana and it washes out in a week. 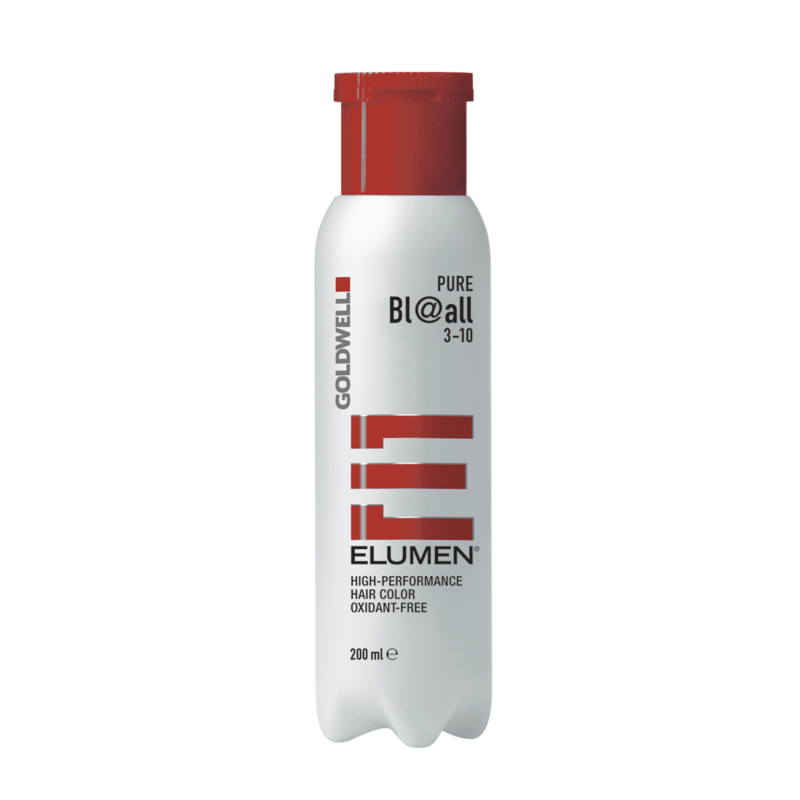 Goldwell Elumen lasts so long in my hair, it's amazing!" "You can create ANY color with Elumen. It is a true professional color!"